Everyone one go, we can see colourful decorations- very appealing to the eyes. 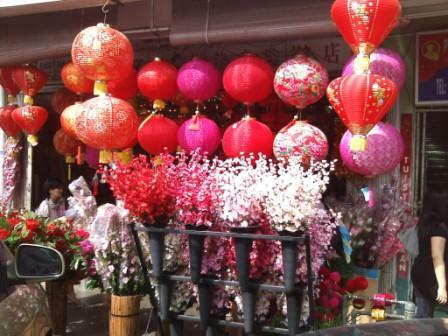 Like above, you can see various laterns in red and pink as well as artificial flowers. 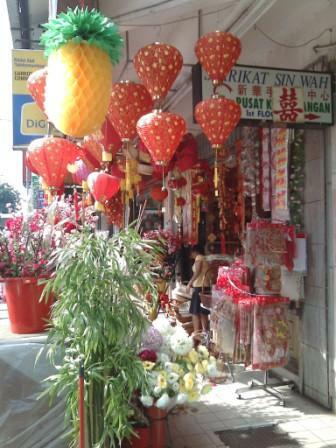 Various decorations that can be used to hang on the wall- with Chinese New Year auspicious wishes. But…. 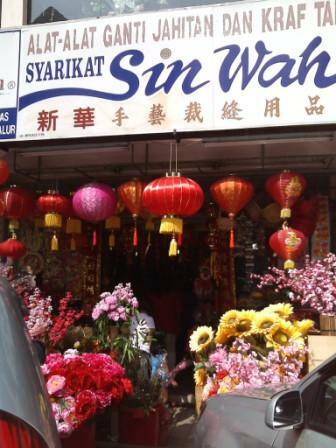 do you really want to buy artificial flowers? The flowers below really look appealing and beautiful. But after CNY, they would sit around the house collecting dust. Due to the nature of their structure, it is also hard to pack away. 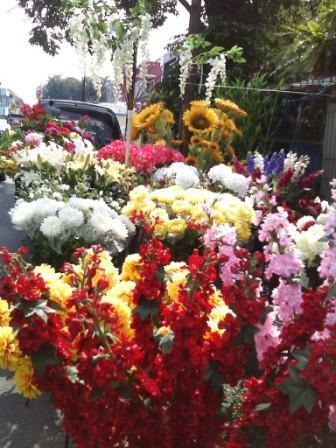 Over the last few years, we have sent a lot of the artificial flowers for recycling centres. Not sure if they have any use or they just sigh and throw them away. From energy levels perspective, items like decorative items and artificial flowers that gather dust would lower the energy levels. Recently when I clean up long neglected store room and throw away packs and packs of stuff around the house- the house feels better ventilated, and when the eyes is not staring at chaos, the mind also by default feels lighter and calmer. Therefore, coming from someone who had gone through having to part with a lot of “impulse buying” using that hard earned money…which eventually having to go through the painful task of getting rid of the items…..my advise to you my friend is think twice, three times, four times before splashing the $$.